@chrisgailus we have a dive bomber in our backyard. Tough is rIght. @ian_cruickshank Thanks Ian. As for those @jeffoneilshow miscreants (except Karen), they definitely keep me on my toes! 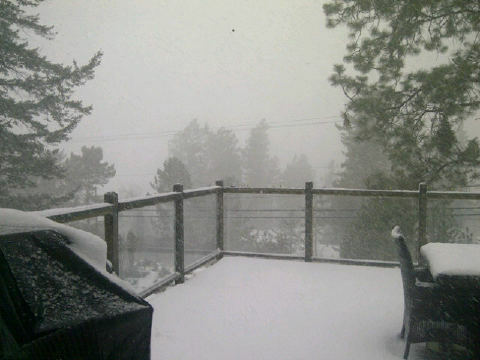 RT @AaronPritchett: We are getting absolutely PUMMELED with snow right now! Almost a white-out! @GlobalBC I am horrified with these first nations questions!! @GlobalBC how can he only get 60 days thats a slap on the wrist for sure. @chrisgailus @sbarnesglobal is absolutely correct. I know somewhere in the depths of music treasures I either have the LP or cassette. @GlobalBC why does it take 10 yrs to get the evergreen line at 1.4 b and only 1 day to tell us they are spending 1.8b on YVR improvements? nice to see GlobalBC so media savvy but why no myspace page? @TrendingNowBC If BC/Canadian G'ment were fine paying4 Olympics/Village - they should be the 1st to pony up 4 education! THIS is our future. @GlobalBC I would have liked to see Mr. Janower interviewed after his little trip down the hill. @GlobalBC yay, Mike! Granville Island PR epic #fail. Oh let me RUN away and get security. RUN AWAY!!!!! Oh. Seagulls? Okay. Lol! @GlobalBC We can only hope that MP's, Senators, Public Corp CEO's and MLA's will be required to wait until 67 for their pensions as well. @GlobalBC good,,,get rid of all service canada pensions, ,,and cut jobs while your at it..
RT @globalbctraffic: Traffic on the Coquihalla west-bound in the mountain pass between the Old Toll and the Snow Shed is at a standstill.